Help make the Canadian Canoe Foundation a country-wide success by making a tax-deductible donation today! Your financial support will educate Canadians about issues facing our watersheds and develop youth Water Leaders who receive an "on the water" environmental education during the seven-day canoe trips. Our projects bring youth participants together with environmental organizations in order to learn about the issues facing their local waterways and provide the youth with concrete opportunities to make a difference. 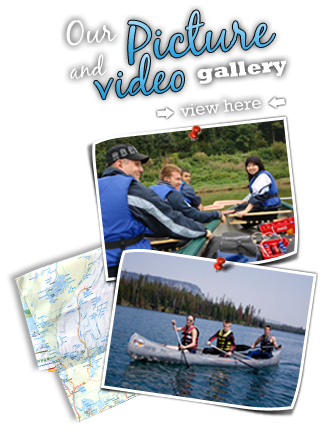 The Canadian Canoe Foundation is registered charity with the Canada Revenue Agency. Business Number: 81712 6543 RR0001. Through an agreement with Canadahelps.org we are able to process secure online donations. If you would like to make a tax-deductable donation online by credit card, Paypal, or Interac/debit, please click on the 'Donate Now' button. Securities can also be donated. CanadaHelps manages online giving for over 80,000 charities. Call the Canadian Canoe Foundation at (819) 664-0415 to talk to us about a specific project that you would like to support. The Canadian Canoe Foundation is currently looking for assistance with English to French translations, accounting services for our yearly financial audit and new outdoor recreation equipment that can be used during our projects or as prizes for fundraising. 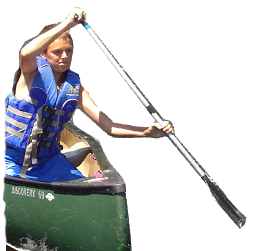 In addition, we are always looking for canoe outfitters who would like to offer their services to help support our objective of getting as many Canadian youth off the couch and into a canoe! If you are a business, please contact us in order to discuss how you can register to support us through the 1% FOR THE PLANET funding program. Note: Tax receipts will be issued/mailed by February 10.